3 Countries, 30 Days, 3 Words: African Safari Adventure! 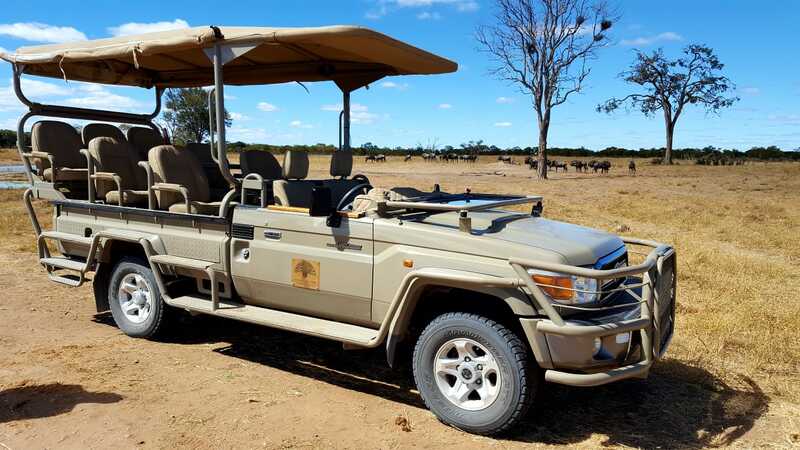 We at The Safari Source love customizing amazing safaris for our guests – and when we get images and stories from our guests’ adventures, we are thrilled! 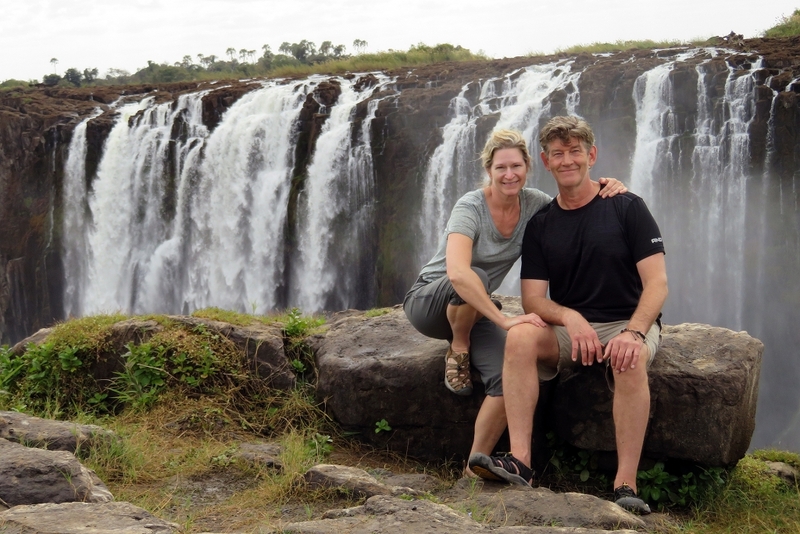 Last year we received a request from the Powell family: Canadians Lisa Powell and Kenneth Reimer wanted to go on an African adventure with Lisa’s parents, Joyce and Grant Powell. The Powells travelled in July and August 2017 – and have sent us the most amazing feedback and images from their adventure. Join us for a sneak peek into their personalized safari adventure! The Powells’ trip was planned in tight communication with them, and considering their visions for their trip, we personalized a 30 day adventure including several destinations in Zimbabwe, Botswana and South Africa. 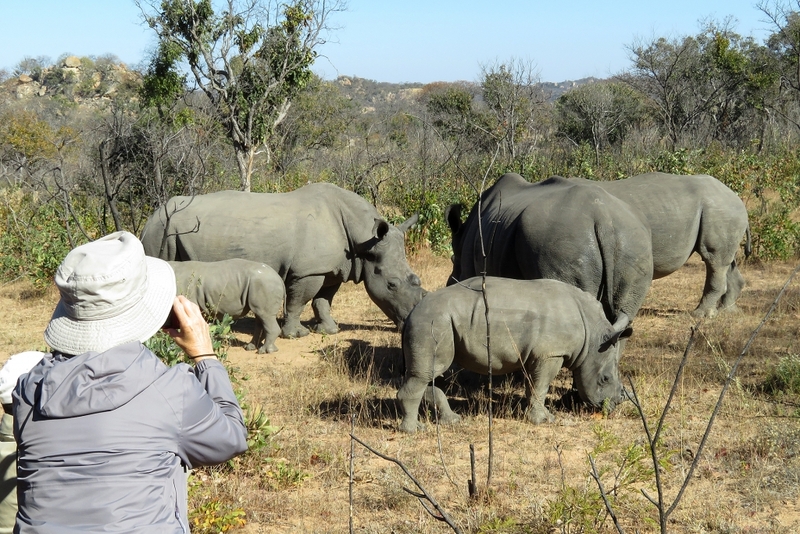 South Africa – Power up for the wild! After a night in Johannesburg, the Powells were ready to start their wild adventure. First stop was Simbavati Lodge in the Timbavati Private Nature Reserve. 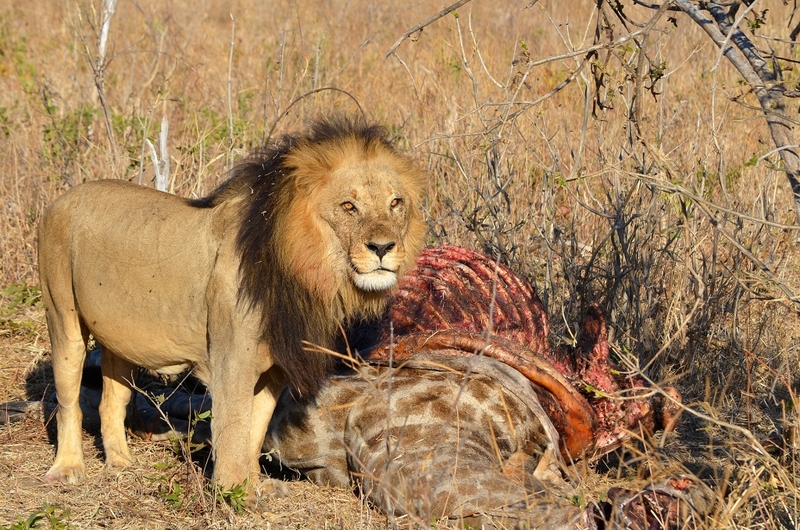 The game drives at Simbavati start instantly! You mount the game drive vehicle from a raised platform, get a blanket and a hot water bottle to keep you warm and cosy – and there is the first animal to see already! 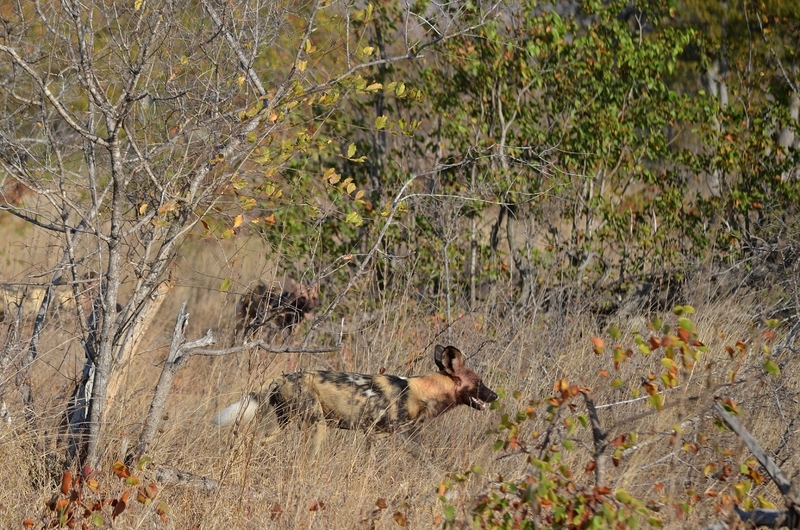 Our guests saw leopard, white rhino, African painted dogs, a hyena with a buffalo kill and even a hyena den with pups! For lunch a full buffet is served, which the resident warthogs, monkeys and baboons also enjoyed we have been told! 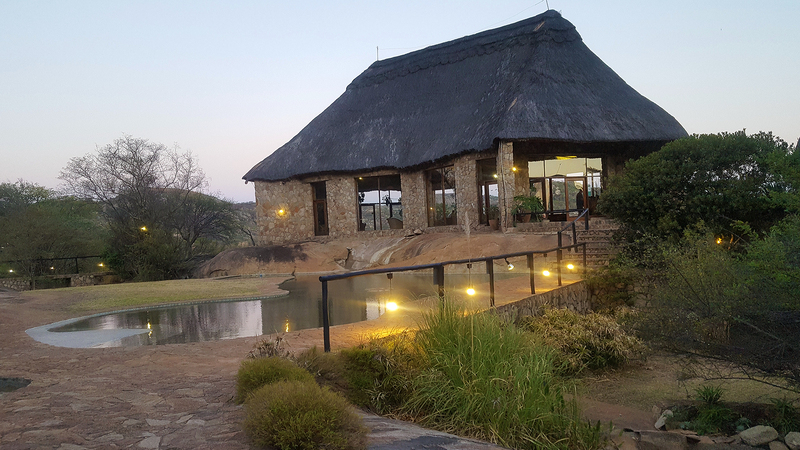 The viewing deck and restaurant area are situated beside a waterhole with frequent elephant- and other animal visitors, so entertainment is guaranteed. 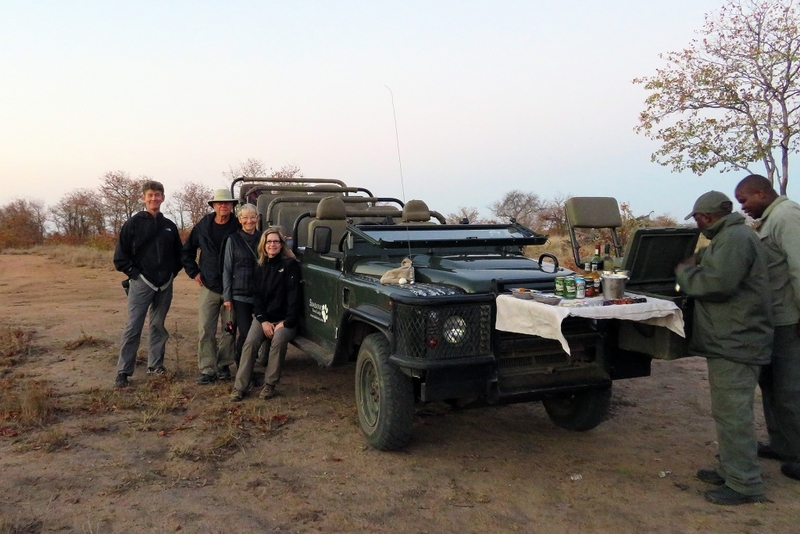 Every second night there is also a traditional Boma dinner, which the Powells found a great experience! 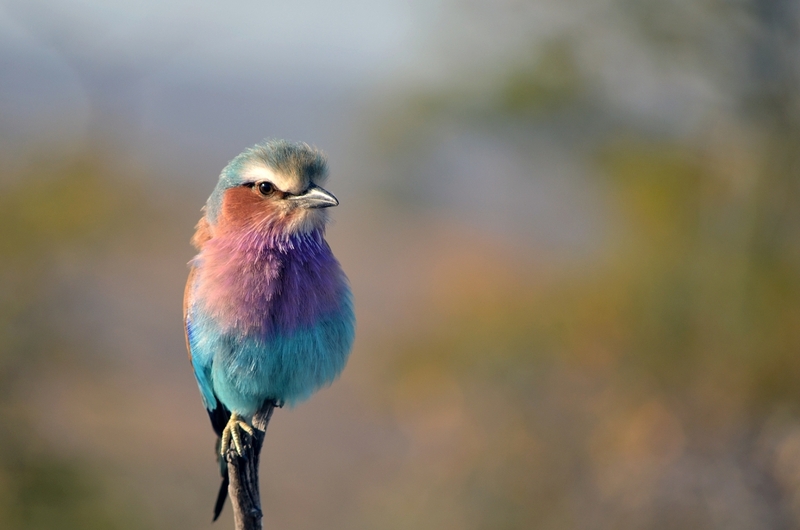 Botswana – Time for some action! 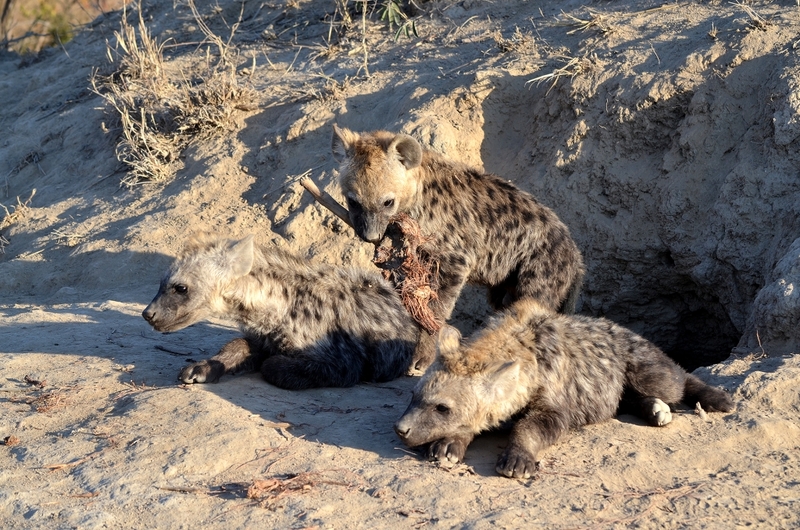 Located 2 ½ hours from the airport in Maun – the drive to Planet Baobab was a game drive in itself, as many animals were sighted at the side of the road! Planet Baobab is located next to a large pond lined with Baobab trees, which are home to a great variety of birds. The rondavel rooms have great character and are attached by open-air walkways. There is also a large outdoor pool. 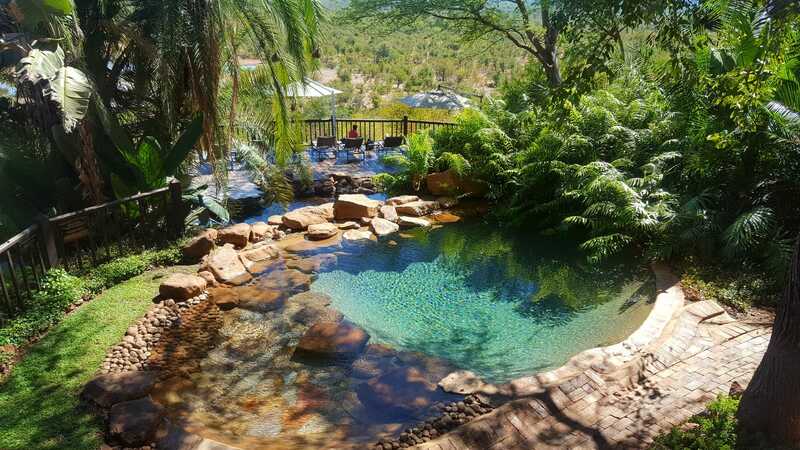 However, the Powells had not come all this way just to slumber in a pool – it was time for some real African action! 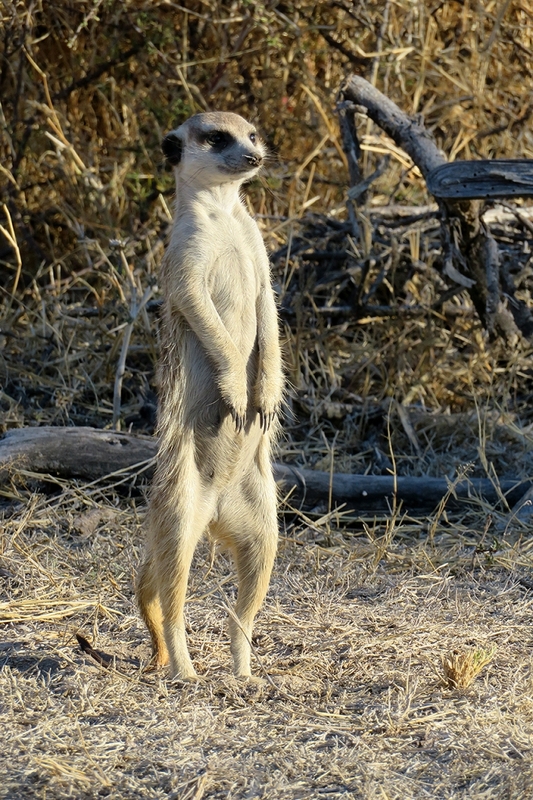 Visit to a habituated family of meerkats with babies – some of the meerkats even stood on their heads! Allthough the sunrise and the sunset on the baobab trees were beautiful, the journey had to go on – Botswana had more in store! Oddballs is a fly-in camp so the Powells’ stay began and ended with a scenic bird’s eye view of the water pathways and animals. Arriving they found the camp located on the water edge with beautiful views in all directions. 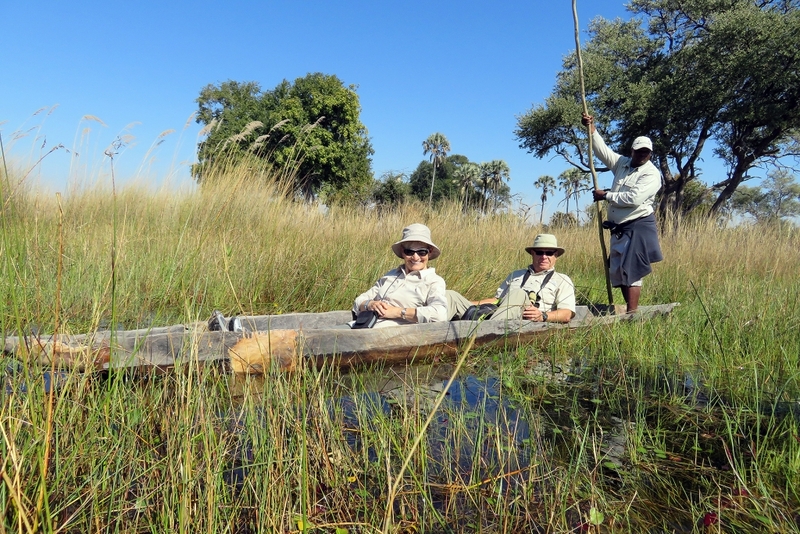 The highlight of their stay at Oddballs were the serene Mokoro rides – in a traditional wooden Mokoro you are taken over the water through tall reeds. Tracking elephants and lions on foot was another interesting activity. 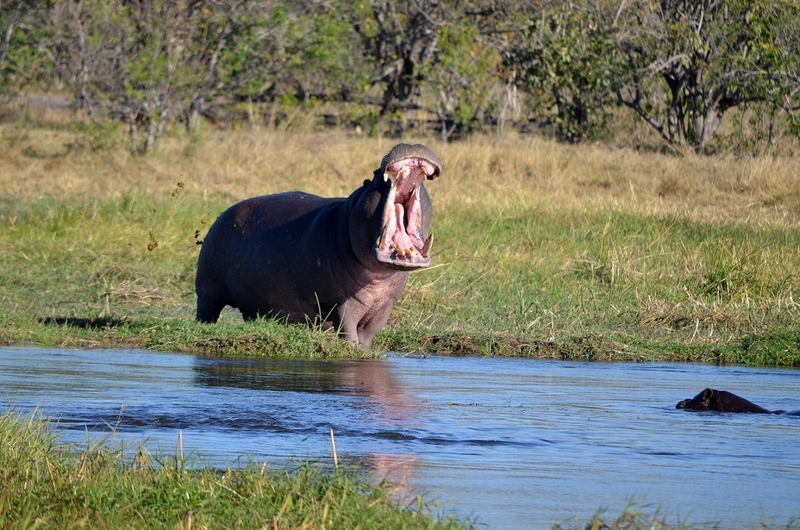 However, many animals were also experienced in the camp, as the elephants crossed the river in front of the camp, and the hippos put on a show in the evening by spraying and snorting. The Powells arrived in Khwai by a low flying scenic flight where they spotted many animals. 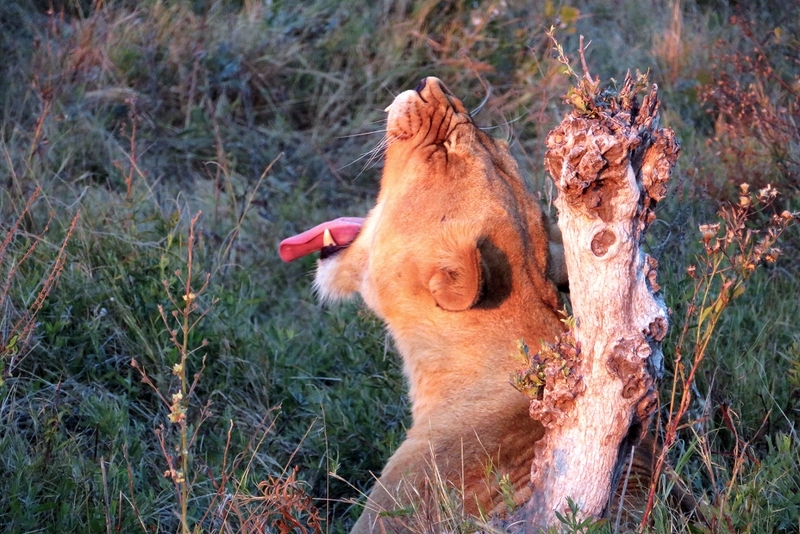 They even saw a lion walking from this flight – their first lion sighting! Greeted with singing, cheering, hot towels and personalized notes on their pillows, our guests arrived Chobe Bakwena Lodge – the attention to detail in this lodge grasped the Powells from the first moment! 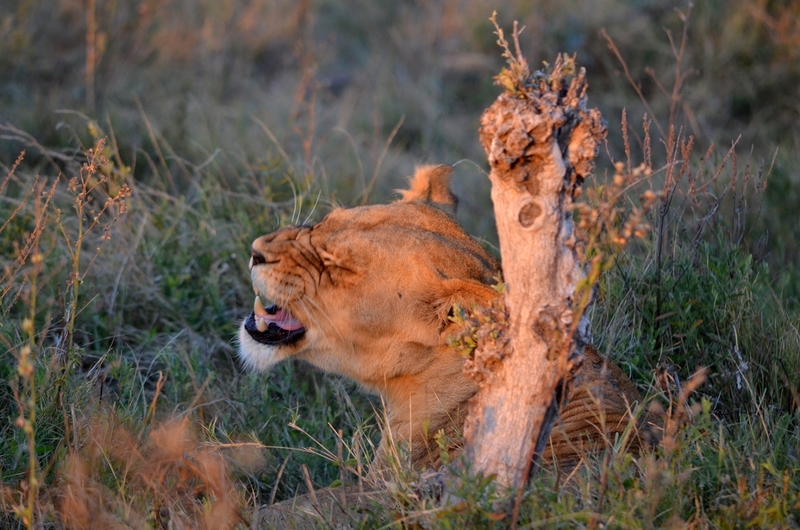 The animals also did not disappoint, they were more abundant here than in any other park they visited. 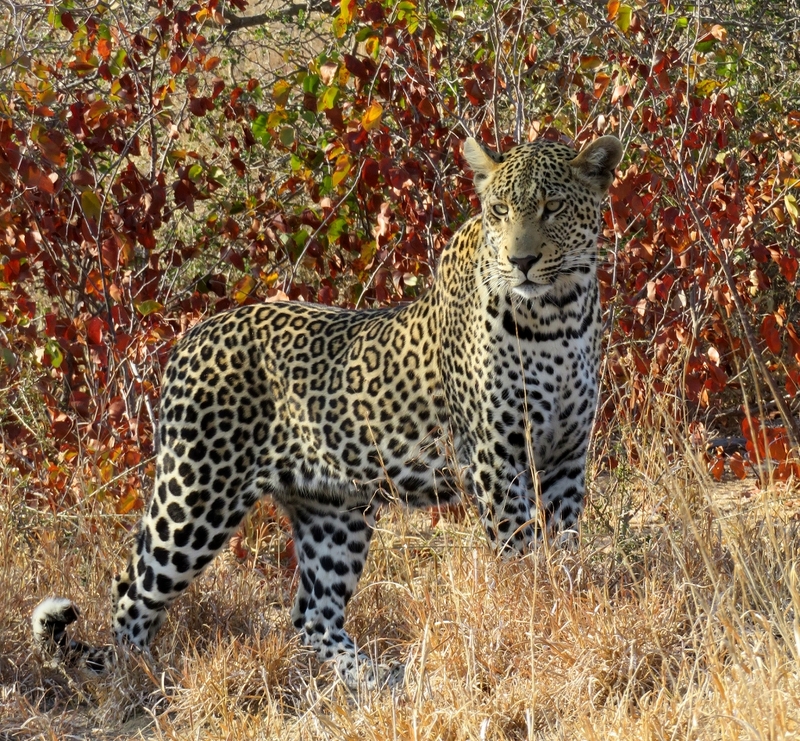 Among the sightings were a leopard posing in a tree, adolescent giraffes mock fighting with their horns, antelopes and even lions with a giraffe kill! 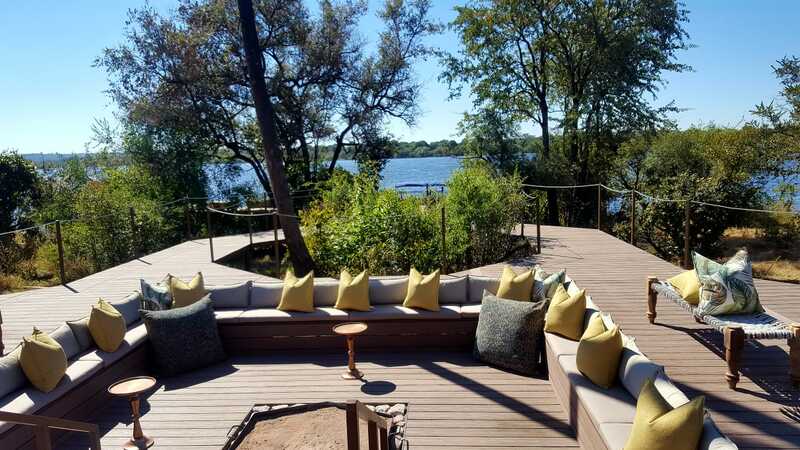 As most camps, Chobe Bakwena Lodge offers two game drives per day: one in the AM and one in the PM – but in the evening you can also choose a Chobe River Cruise instead. The river cruise allowed the Powells a great viewing vantage of buffalo, crocodile, elephants, and a large variety of birdlife – and an amazing sunset over the water! A drum call to a traditional Boma Dinner, with dancing and traditional food, completed the Botswanan adventure – as it was now time to head for Zimbabwe! 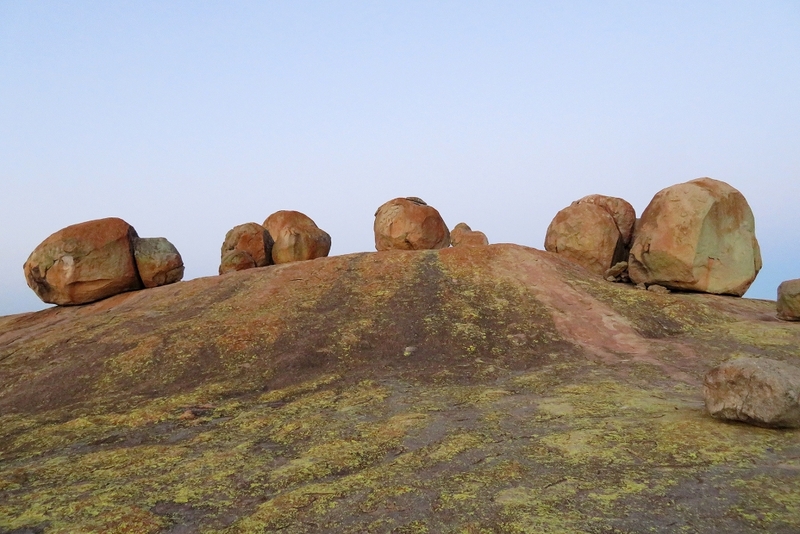 Zimbabwe – The Falls and the endless elephants! After many early morning game drives, KAZA Univisa in hand, it was time for some later mornings and the soothing spray of the Victoria Falls. The N1 hotel is nicely located with a short distance to the main shopping- and restaurant areas, and provided the Powells with a nice base for exploring the town of Victoria Falls and do some souvenir shopping. A visit to the Falls is always impressive! Our explorers walked the gorge’s edge path from end to end, stopping at each of the viewpoints and were amazed by the forest vegetation along the path. Time to head for the bush again! 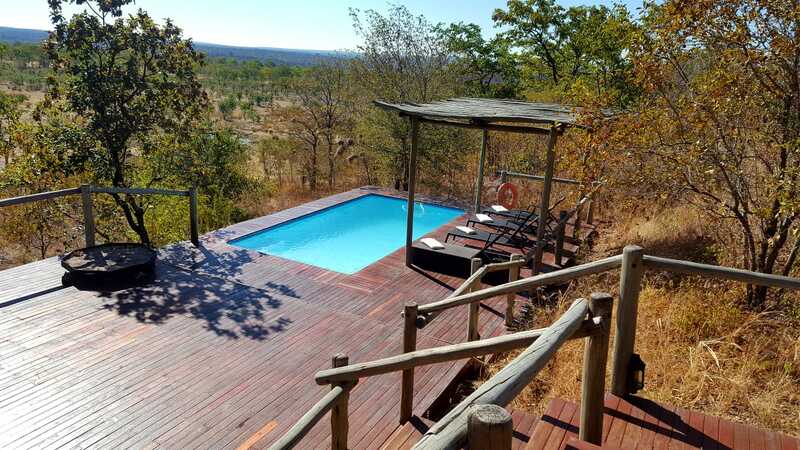 No need to skip the luxury in the bush though, the Miambo Lodge provides large individual luxury tents on raised platforms, with outdoor showers and private decks overlooking a waterhole. 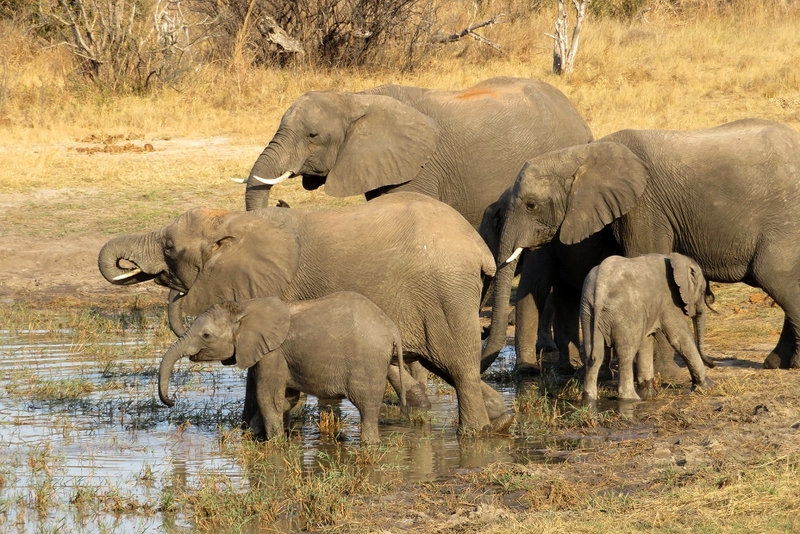 In Hwange National Park the Powells were treated with sightings of large herds of elephants drinking at the waterholes, as well as the rare roan and sable antelope, and a large pride of 13 lions! After a hearty dinner and campfire stories, you get a “bush baby” (hot water bottle) to keep you warm and cozy at night, and if lucky, like our guests were, you are treated to a nighttime view of a bachelor herd of elephants at the waterhole! There is ancient cave art right on site and the resident rock hyrexes and rainbow coloured lizards provide further entertainment! Every evening a delicious dinner was served at a community table, with all guests, guides, and the manager. We are sure that the Powells had quite some stories to tell around that table before heading home! 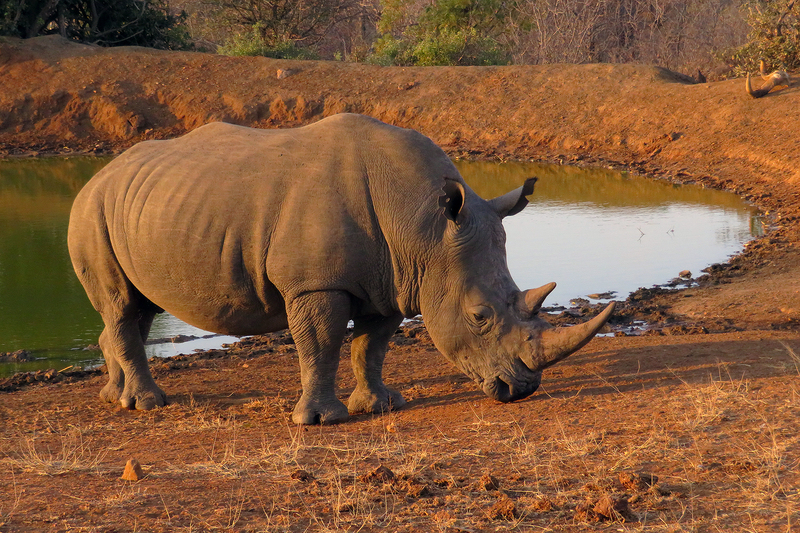 Many thanks to the Powells for sending us such a detailed account of their adventure, and also providing some of their safari images to accompany this blog post! 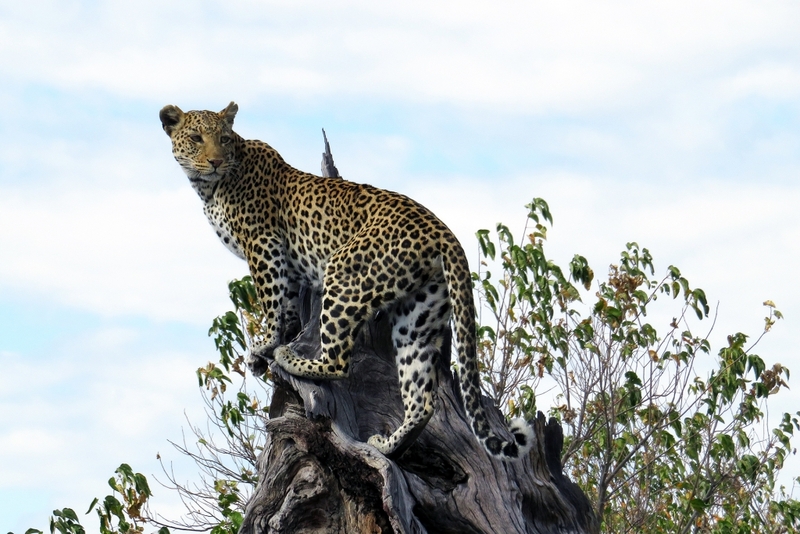 Thinking of a tailor made safari? If you would like us to plan YOUR dream safari, feel free to fill out our contact form with your dream safari contents, and we will cook it up for you! You can find our contact form here!